Bringing a furry pal home can be the beginning of an exciting new journey for you. Pets make an excellent addition to our lives and become great companions. For this reason, your dog deserves the absolute best, whether you are purchasing dog food or investing in grooming tools to help your furry friend look their best. Grooming and bathing your pet is an integral part of maintaining a healthy lifestyle, so you have to invest in the right dog shampoo. 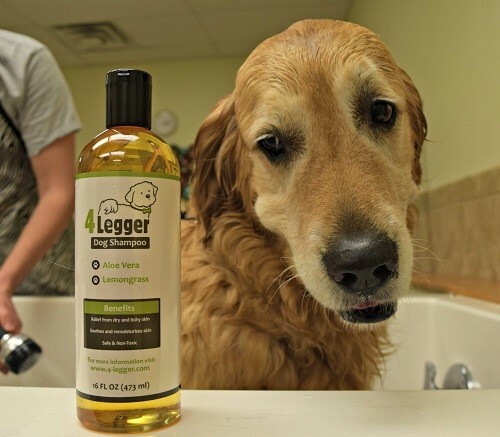 Medicated Shampoos are made for dogs that suffer from skin problems. 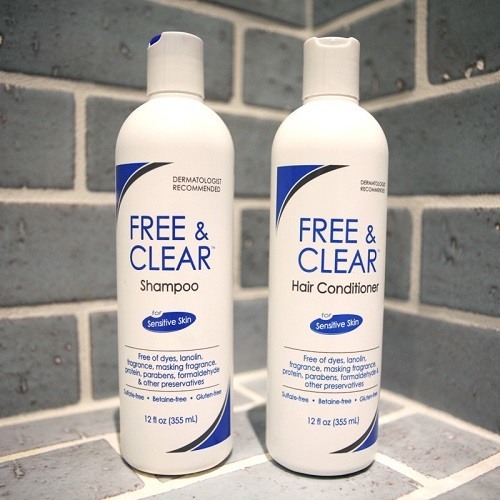 There are several types of medicated shampoos in the market. Hence you can conveniently opt for one that is formulated to cater to your canine’s problem. Some commonly used ingredients found in medicated shampoos include Peppermint, Aloe ﻿﻿Vera, coal tar, and eucalyptus among others. However, not all shampoos use the same ingredients since they may have been designed to cater to different skin problems, including rashes, infestations, dry skin patches and allergic reactions. Medicated shampoos can also be used for treating itchy skin as a result of pest infestation and rashes. As the name indicates, these shampoos are available in a powder or liquid spray form and do not contain water. These shampoos can be purchased in easy to handle containers and are available in a variety of sizes. These shampoos are designed for added convenience since they do not have to be rinsed or washed off once applied to your dog’s coat. This makes these shampoos highly convenient to use for travel. Dog owners can also benefit from powder waterless shampoos that are easy to carry when you are traveling with your furry friend. Oatmeal is a common ingredient that is used for manufacturing dog shampoos. These shampoos are available in a variety of types. Some shampoos are scented while others are not. Additionally, some oatmeal shampoos may contain non-allergic ingredients and may have essential oils. This highly popular ingredient is known to provide a cooling or soothing effect on your dog’s skin. Oatmeal products are used to replenish and restore natural oils in your dog’s skin. If your dog has been scratching excessively, consider taking him to the vet for a quick checkup. These dog shampoos are specially designed to enhance the color of your dog’s fur coat. These color-enhancing shampoos will bring out your canine companion’s natural coat color, allowing him to stand out of the crowd. These shampoos contain chemicals that help remove the outer layer of your dog’s fur, bringing out their natural hair color. Conditioners and rinses are primarily used for aesthetic purposes. If your canine companion has a matted coat that requires an extra shine, perhaps it is time you invest in special conditioners and rinses that will improve the appearance of your dog’s coat. Conditioners help in detangling your dog’s fur, making it easier for pet owners to groom or comb your dog’s fur coat. These shampoos are specially designed for young pooches. Puppy shampoos are specially formulated to suit sensitive skin and are typically made using organic ingredients. Most puppy shampoos in the market are made using ingredients, such as Aloe Vera and oatmeal. Use these shampoos for dogs that are older than eight weeks since they are not recommended for puppies younger than eight weeks. As the name indicates, these shampoos are typically derived from organic and natural ingredients. Natural dog shampoos are a premium choice for pet owners who do not want to bathe their dogs in harsh chemicals. Natural dog shampoos are best suited for your dog’s grooming routine and are made using mild chemicals that will not irritate your dog’s skin. Similar to puppy shampoos, natural shampoos are derived from gentle and moisturizing ingredients, such as oatmeal, vitamin E and other ingredients that will prevent your dog’s skin from getting dry. This type of shampoo can also be useful for getting rid of topical fleas. Has your furry pal been scratching his or her back more than usual? This may be an indication of fleas. Rest assured, there are plenty of products in the market that will help you get rid of these nasty pests. Tick and flea shampoos will effectively help you get rid of these parasites that have been nesting on your dog’s skin. Be sure not to apply the shampoo near your dog’s eyes as it may lead to irritation. Carefully read the labels to ensure the product is safe to use for your pet and will not result in further skin problems. As the name indicates, these shampoos are designed specifically for furry pals that suffer from skin allergies or have sensitive skin. Hypoallergenic dogs cannot use normal shampoos as they need to be bathed more frequently and regular shampoo can cause damage to their skin. These dog shampoos are derived from mild and natural ingredients and are free from harsh chemicals that would have otherwise damaged your dog’s sensitive skin. 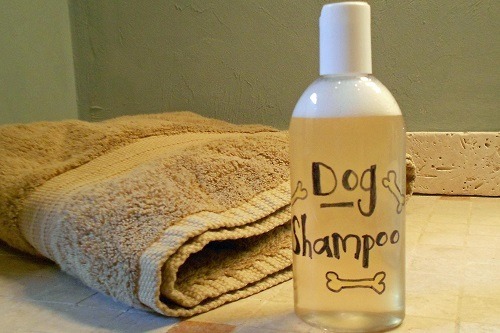 If you are on a limited budget and are not keen on the idea of purchasing chemical contaminated products for your pet, consider making homemade dog shampoo. These shampoos are easy to make, require minimal effort and will be free of harmful chemicals. Pure and natural ingredients, such as sesame oil and tree oil, will help keep your dog’s skin smooth and free from bacteria. While human-grade shampoo may help you grow luscious and shiny locks, most human shampoos contain harsh ingredients that are not suitable for your pet’s sensitive skin. Fortunately, there are some dog shampoo brands out there that are designed to cater to your pet’s unique requirements. Does your furry pal have itchy, dry skin? If the answer is yes, they will probably benefit from a rich moisturizing shampoo. Additionally, avoid scented shampoo if your dog has sensitive skin. Harmful chemicals can further irritate the skin, resulting in dryness and allergies. If your dog has sensitive skin, look for dog shampoos containing natural ingredients, such as vitamin E, honey, and oatmeal. However, if your dog does not respond well to most dog shampoos in the market, consider consulting a vet about purchasing special medicated shampoos. Before investing in shampoo, ensure the pH value is formulated to suit your dog’s delicate skin. Dogs have sensitive skin, hence consider talking to a vet before investing in a specific brand for your furry friend. However, keep in mind that optimal pH levels may vary depending on the dog breed, geographical location, and gender, therefore carefully read the label before buying the product. Not paying attention to the pH levels in the shampoo can result in skin irritability and bacteria infestation. You have probably already heard how dogs shouldn’t be bathed more than once a month. Excessively bathing your dog can strip off his skin of natural oils, causing it to appear dry and damaged. For this reason, it is imperative that you invest in a brand that will have long-lasting effects. Dog shampoos that are made from high-quality ingredients are likely to have more effective results than poor quality shampoos, which contain synthetic additives. Are you confused about the type of ingredients you should look for in your dog’s shampoo? If you are an absolute novice, it is best to keep things simple. Look for natural ingredients, such as Aloe Vera, Herbal proteins, citrus extracts, oatmeal, and vitamins among others. If in doubt, consider consulting a veterinarian that will recommend you shampoo according to your pet’s specific needs. Factors, such as old age and a poor diet, can cause your dog’s fur coat to appear dull and lusterless. Fortunately, you can drastically improve your dog’s coat by investing in a nourishing shampoo made from high-quality ingredients. For added luster and shine, opt for dog shampoos that contain proteins, vitamins, and minerals. Evaluate your dog’s overall health condition before investing in a particular shampoo. Pets that suffer from health conditions, such as allergies, bacterial or fungal infections, require special shampoos designed for their specific skin type. Parasitic Infections: Invest in anti-parasitic shampoos if your dog has ticks, lice or fleas. You will find a variety of antiparasitic shampoos in the market. Apart from killing these parasites, these shampoos protect your home from being infected by fleas or ticks. Some formulas are also designed to kill eggs and offer long-term protection against parasites. These shampoos typically contain chemicals, such as fipronil, lufenuron, permethrin, and phenothrin, among others. Fungal Infections: Does your furry pal suffer from a fungal infection, such as ringworms? If the answer is yes, you should invest in anti-fungal shampoos. These shampoos typically contain ingredients, such as salicylate, nitrate, and selenium sulfide, among others. ​Allergic Conditions: Some dog breeds are more prone to allergies compared to others. 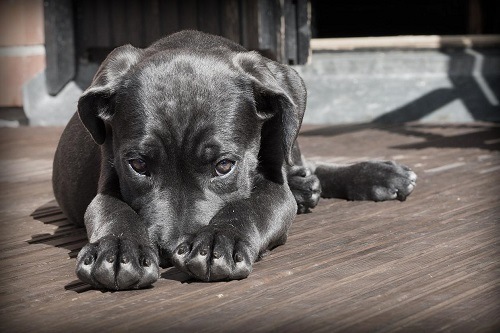 Allergies typically result in itchy skin, causing your pooch to become restless and irritable. Consider investing in antipruritic shampoos that will soothe your dog’s skin. These shampoos typically contain ingredients, such as salicylic acid, Aloe Vera, and colloidal oatmeal, among others. Bacterial Infections: If your dog suffers from a skin disease caused by bacteria, consider investing in an anti-bacterial formula. Some common skin conditions caused by bacteria include pyoderma and dermatitis. These shampoos typically contain ingredients, such as ethyl lactate, sulfur, and benzoyl peroxide, among others. If your canine’s coat tends to tangle or dries off easily, it is best you invest in a shampoo or conditioner to restore moisture. A nourishing conditioner will moisturize your dog’s fur coat, preventing his luscious locks from tangling and becoming frizzy. Additionally, you can apply conditioner to your dog’s coat separately after shampooing his hair. 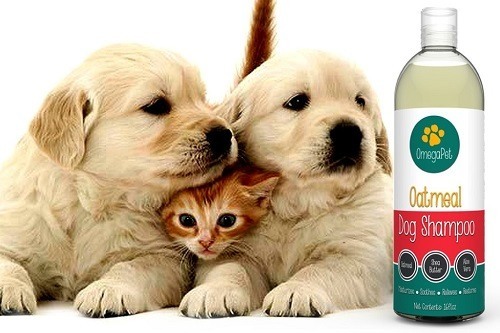 This helps replenish natural oils and makes your dog’s hair easier to maintain. Your mischievous four-legged friend may have the tendency to play in the mud just like any other household pet. Rest assured, we have a simple solution for particularly adventurous pets, and that is deodorizing shampoo. These shampoos are specially designed to eliminate odors, leaving your pet feeling refreshed and most importantly, odor-free. 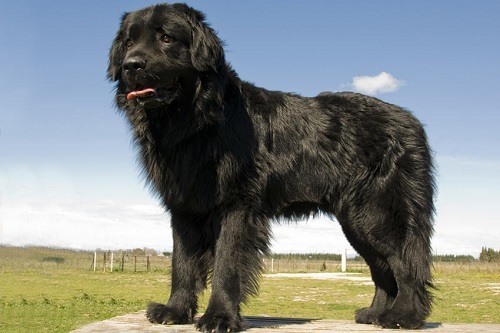 Does your dog have dark shiny hair or a light colored coat? Using special shampoos will prevent your dog’s fur color from fading or yellowing. These shampoos are highly beneficial for pets with lightly colored hair. 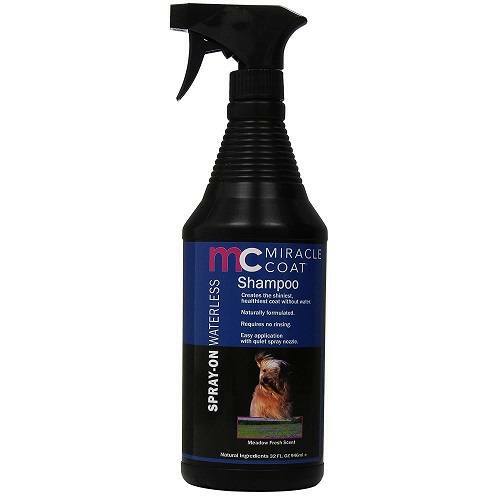 Invest in shampoo that is specifically designed for your dog’s fur coat. This will result in a healthier sheen and will prevent your dog’s fur color from fading. No Fragrant Ingredients: Regular dog shampoos use a variety of natural fragrances that might be suitable for your Hypoallergenic pet. Some of these ingredients may result in itchy and irritable skin that might aggravate your dog’s allergic reaction. Fortunately, Hypoallergenic shampoos do not contain harsh chemicals and fragrant ingredients. This reduces the risks of allergic reactions, allowing your dog to lead a healthy and comfortable life. Mild Ingredients: Hypoallergenic shampoos are made using mild ingredients that have minimal side effects. Regular shampoos may contain harsh soaps and detergents that might cause your dog’s skin to dry out. While regular dog shampoos result in a stronger cleansing action, they contain harsh chemicals that might affect your dog’s lifestyle. 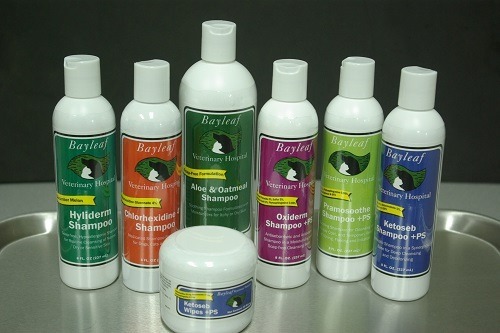 Hypoallergenic shampoos do not contain harsh chemicals and leave out soaps from their composition. ​Free from Unnatural Dyes and Chemicals: Regular dog shampoos may contain artificial dyes for brightening or whitening your dog’s fur coat. While these chemicals improve the appearance of your dog’s fur coat, the chemicals might not be suitable for dogs that suffer from hypoallergenic. Hypoallergenic shampoos rely on biodegradable and natural ingredients to brighten your dog’s fur coat. ​Minimal Side Effects: While regular dog shampoos may contain harmful ingredients, such as alcohol and parabens, Hypoallergenic shampoos use mild and natural ingredients, such as Aloe Vera and oatmeal that may have minimal side effects. Reduces the Risk of Allergic Reactions: Since organic dog shampoos use natural ingredients, it reduces the risks of allergic reactions in pets. Read the labels before investing in a quality dog shampoo for your pet; this will ensure your furry friend remains both clean and safe. Safe for Sensitive Skin: If your furry pal suffers from an overly sensitive skin, he might benefit from an organic shampoo. No Conditioners: Most organic shampoos in the market do not contain conditioners. While conditioners play an effective role in restoring moisture in your dog’s skin, the chemical oils can also stick to your dog’s fur, preventing natural oil production. How Do I Shampoo My Dog Who Does Not Like Water? While most canine friends may enjoy splashing around in a kiddy pool, some dogs might not be thrilled about bath time, making it difficult for owners to clean their pets. Rest assured, if your furry and possible smelly pal hates water, you can opt for dry or waterless dog shampoos instead. These shampoos can be simply applied on your dog’s fur coat using a brush or a comb. However, wet baths are more effective so try to get your dog accustomed to water. 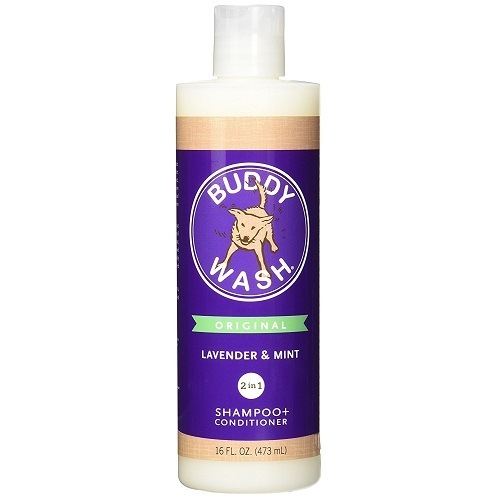 Cloud Star Corporation Buddy Wash is a quality dog shampoo that is trusted by thousands of pet owners around the country. The dog shampoo contains a calming lavender and mint scent that will calm your dog and eliminate bad odors. Earthbath All Natural Pet Shampoo is among the best soap-free shampoos in the market. The product is a #1 Bestseller on Amazon and is made from 100% biodegradable products. 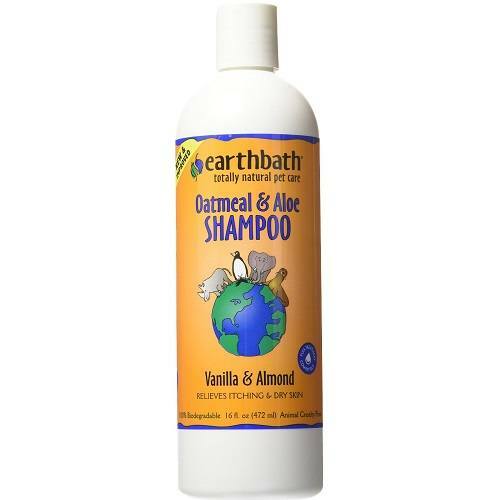 Reasonably priced, Earthbath All Natural Pet Shampoo contains soothing and mild ingredients, such as oatmeal and Aloe Vera, which play an effective role in combating skin irritation, re-moisturizing dry skin and promoting good skin health. Best of all, the shampoo is designed for optimal pet care and is cruelty-free. Douxo Chlorhexidine PS Shampoo is among the best-selling dog shampoos in the market. The shampoo has been specially designed for dogs with sensitive skin and allergies. Using the shampoo will protect your dog against allergies, reducing symptoms, such as itching and scratching. Be sure to carefully read the labels before investing in the product. Are you tired of brushing and trying to maintain your double-coated four-legged friend? Perhaps you should invest in the Miracle Coat Detangling Dog Shampoo. The shampoo works wonders on dog hair, making it easy to manage and comb. Now, pet owners no longer have to worry about managing their canine companion’s long hair. Simply apply the shampoo and notice how your dog’s hair becomes smooth and tangle-free. And best of all, this is a waterless shampoo that you can conveniently spray on your pet for easy application. What more could you want? The rinse-less solution that results in an easy application for concerned pet owners. This also makes it easy for pet owners to bathe their fussy pets. Formulated using the best high-quality ingredients. Hopefully, this helpful guide has taught you everything you need to know about selecting the right dog shampoo. While the best products in the market may be expensive, they are certainly worth the investment and will allow your pet to lead a healthier and happier life. Good luck!